Underline all of the words you have identified which you think have a negative connotation regarding money. Write down three things that you are proud of in terms of your relationship to money. 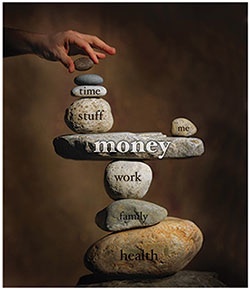 Write down three things that you feel badly about in terms of your relationship to money. Identify which list was easiest for you to complete. Write down your most joyful experience with money. Write down your most painful experience with money. Identify which memory was easiest for you to recall. Now take a ten or twenty dollar bill and look at it. Write down the answer to the following question: What has this ever done to hurt you? Email your answers to marina.edelman@gmail.com as a starting point for our conversation. Please indicate how you prefer to be contacted and when. Once you submit your responses I will contact you to set up a complimentary phone session.